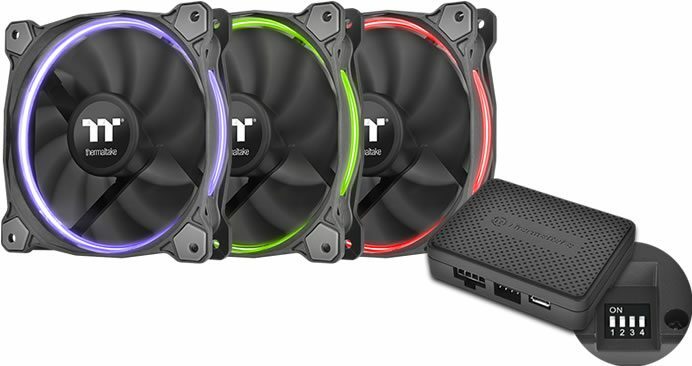 Thermaltake today announced its first digital radiator fan series – Thermaltake Riing LED RGB Radiator Fan TT Premium Edition, a patented LED circular 256 multicolored 120mm radiator fan with Riing RGB Software. Through the software, users can easily adjust fan speed as well as fan colors for up to 48 Riing RGB fans. 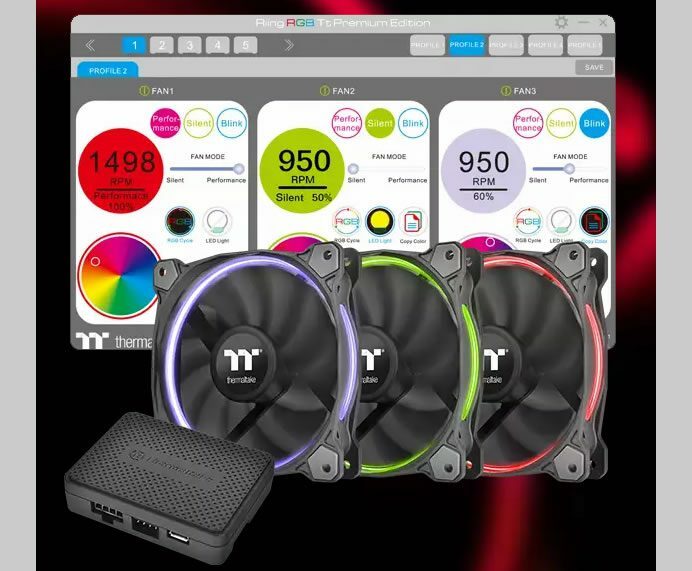 The Riing RGB software supports 6 languages and allows users to connect with a maximum of 16 digital fan hubs. Through the control panel, users can quickly change the Fan Speed Mode for the corresponding fan to either “Performance” operation or “Silent” operation. Users can even freely adjust the maximum fan speed between two modes. Performance Mode is 500~1400 R.P.M, Silent Mode is 500~1000 R.P.M,by dragging the “FAN MODE” bar. The “Color Palette” enables users to set the fan color to whatever they want. Users can also use “RGB Cycle” to switch to a 256 multicolored mode. The lighting effect of the patented LED ring is visible from all direction. Eleven fan blades are engineered to generate large volumes of air to cool the system and make a perfect balance between silent and performance. The Riing LED RGB fan is designed with PWM function which allows the motherboard to run the fan precisely at its necessary speed. 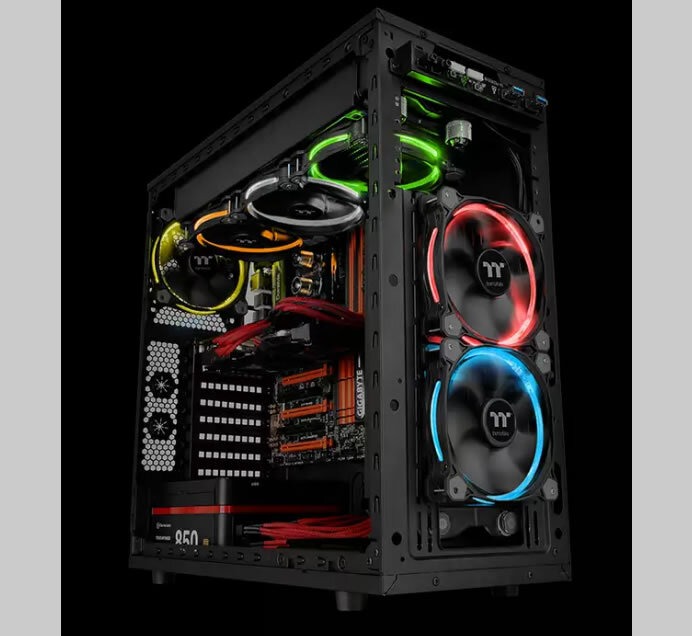 This guarantees the required cooling performance as well as minimizes the noise level. To achieve maximum cooling performance in all applications, the wind blocker frame is designed to direct airflow towards the middle section of the blade, thereby creating a compression effect and blocking any air from escaping.